With a past shrouded in mystery, Wolverine's memories are full of government secrets, traumatic events, and death. Remembering only escaping Weapon X and later joining Alpha Flight, the man known as Logan was approached with a chance to change the world, by Professor Charles Xavier. After joining Professor X's X-Men, Wolverine has been using his mutant power, to heal at an accelerated rate, peak physical condition, and razor sharp bone claws that protrude from between his knuckles laced with the indestructible metal Adamantium, to fight for the peaceful coexistence of mutants and humans most of his life. 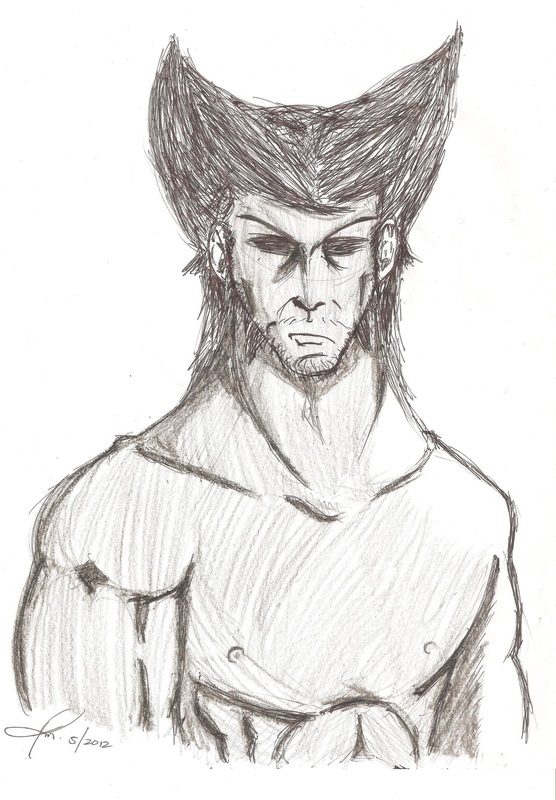 Needing time to himself, Logan began to have adventures in Madripoor, as Patch. Wishing to learn more of his past, Logan tracked down members of Weapon X, only to find that most of his memories were implanted. After years of battling with the X-Men, Wolverine's Adamantium metal was ripped from his bones, by the mutant terrorist Magneto, and he learned that his claws were not man-made, but part of his mutation, while becoming incredibly feral. After Apocalypse transformed Wolverine into his Horseman Death, Wolverine's Adamantium was returned to him and, after batting his friends, he returned to the X-Men. After being murdered, by Gorgon, Wolverine was briefly revived as a super hero assassin for the Hand, until his brainwashing was broken and he returned to the X-Men. Due to a lack of members, Wolverine joined the Avengers, while splitting his time with the X-Men. After the Scarlet Witch granted everyone their deepest dreams, Wolverine slowly began to remember his entire past, learning that he was born James Howlett, possibly murdered his biological father, learned the ways of the Samurai, and fathered Daken. After the attacks by the Purifiers on Cooperstown, Alaska, Wolverine joined X-Force and later reorganized them into a secret assassination squad of X-Men members. After the Schism (Event) between the X-Men, Wolverine returned to New York and reopened the Xavier's school, naming it the Jean Grey School for Higher Learning becoming Headmaster and giving the young mutants a chance to live their childhoods. Logan now juggles his time between X-Force, his X-Men team, being the headmaster of a school full of mutants, the New Avengers and his own adventures.